Posted by shaunphilly in Culture and Society, Skepticism and atheism. 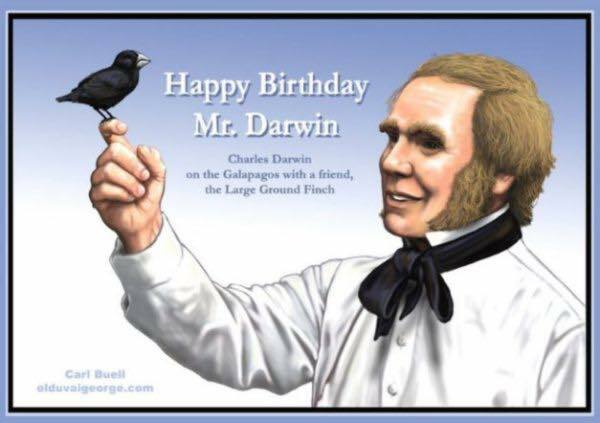 By pure accident, I published my first blog post on Darwin day back in 2009; 6 years ago today. So, for readers who may not know much about Charles Darwin or Darwin Day, Let me point you to some resources. First, let’s start with the website dedicated to Darwin Day itself, DarwinDay.org. Here, you can find all sorts of things, such as local events, including this, happening in Philadelphia tonight at National Mechanics–which I may decide to pop into (if I have time after the laundry that really needs to get done). There are also educational, activism, and news resources there, so take a look. 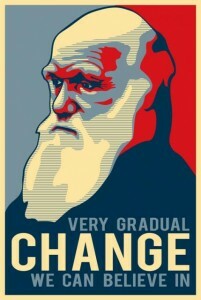 There’s also a Facebook page for Darwin Day. But there’s also a plethora of excellent resources all over the internet about Charles Darwin. I will not even try to summarize them all, because they are too extensive. There are, of course, organizations and site dedicated to misinformation, misunderstanding, or outright opposition to Darwin and to the theory of evolution itself (it does pain me to post those links…). Among my favorite evolution/Darwin specific websites is the Understanding Evolution website hosted at Berkeley. There’s a series of articles about the history of evolution, which includes some details about Darwin which start here. among my least favorites would be places such at Answers in Genesis, whgich is a group dedicated to the Biblical “truth” of creation. Hacks, and idiots, really. 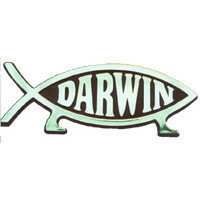 Let’s not forget that you can get all sorts of bumper stickers, decals, and other DarwinFish to put on your car, forehead, or computer screens. They are a good way to show the person driving behind you in traffic that you are educated in the scientific method, understand at least some of the complexities of the concepts within evolutionary theory (such as natural selection), and that you will not submit to bronze-age pseudoscience or creations myths. I will not even begin to try to summarize the influence of Charles Darwin myself, mostly because I’m not an expert but also because there are already so many good resources on this subject. I’ll simply say that reading the Origin of Species was a positive experience, and what I do understand about biology is both fascinating and often beautiful. If you don’t know much about Charles Darwin or if you just want to know more, take a look at some of the links here. Or, if you just want to celebrate his birthday with some like-minded people over beers, food, or just conversation, check out the events page and find some local people. I hope you don’t rise from the grave as a zombie to eat all of our brains, because that wouldn’t be very nice. So, let’s not do that.